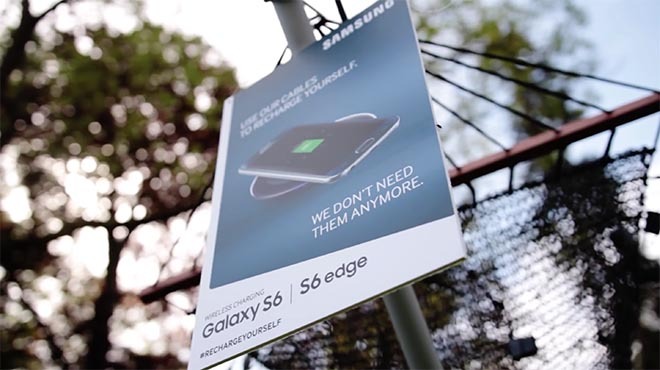 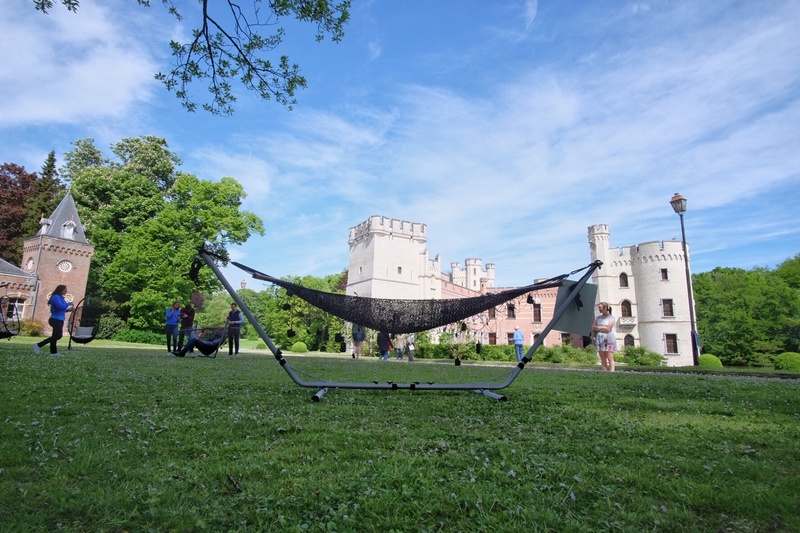 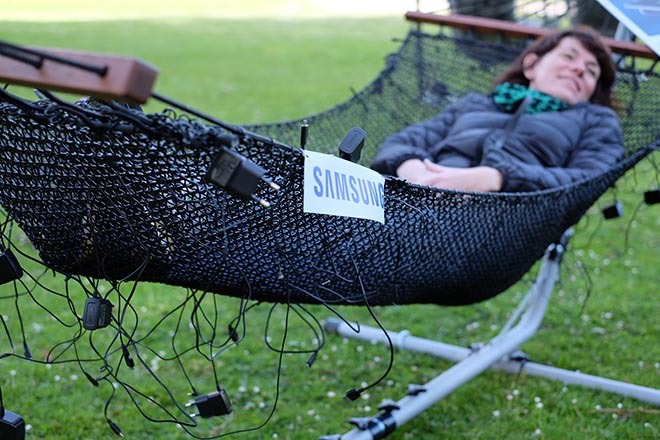 Samsung Belgium is promoting the launch of the new Samsung Galaxy S6 with a recycling design in which unused cables have been used to create hammocks and seats. One of the S6’s main features is wireless charging, making cable spaghetti history. 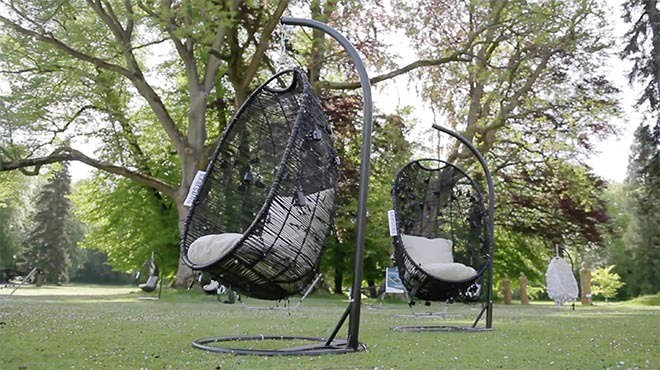 Evy Puelinckx, well known for her recycling solutions, collected over 3 km of wire to create reclining chairs for display at Meise Botanic Gardens. 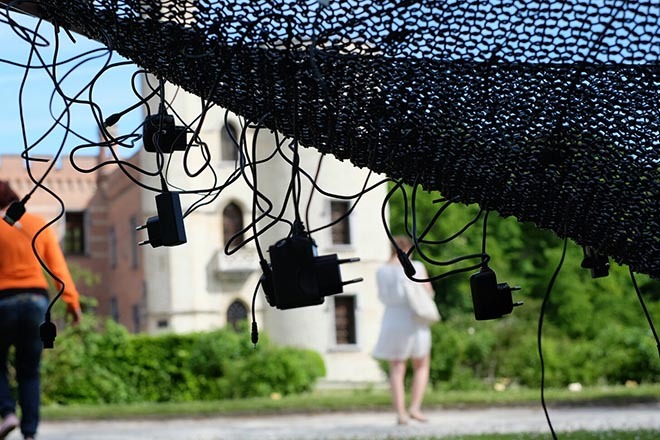 Each chair used over more than 150 chargers. 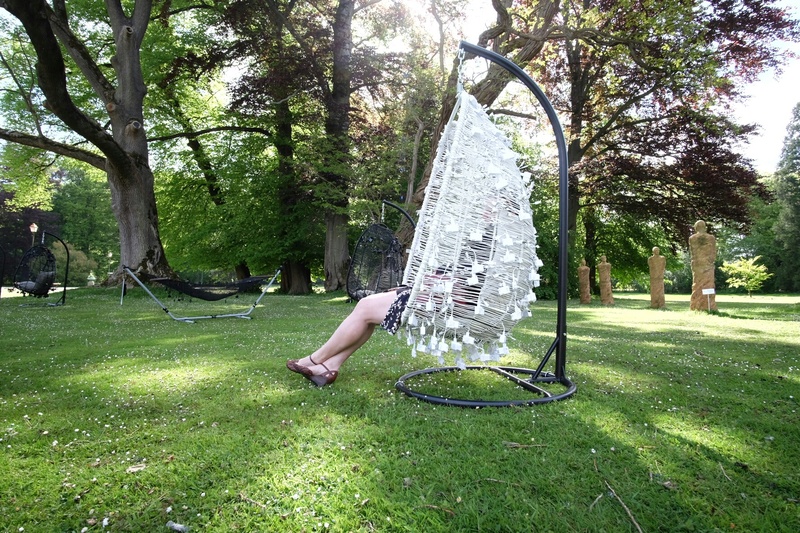 Evy Puelinckx, founder of HetVindingrijk, a creative recycling agency, talks about her role in the project. The Samsung Recharge Yourself campaign was developed at Leo Burnett Brussels, by creative director Tom Garcia, creatives Wout Geysen, Jurgen Verbiest and Najate El Achari, designers Evy Puelinckx and Het Vindingrijk, managing director Kaat Danneels, account manager Jeroen Vernelen, account executive Elodie Pagaud working with brand manager Sophie Docx. Music is “When The Sun Comes Out“, by Max Brodie, produced at Audio Network.